Finally, Folks at Twitter have realized that Android also deserves a tablet-optimized app for the social network. The latest Galaxy Note 10.1, shown at IFA contained a tablet-optimized app for Twitter. Our friends over at Androidnext.de (German site) spotted the app and luckily, they extracted the APK from the tablet. 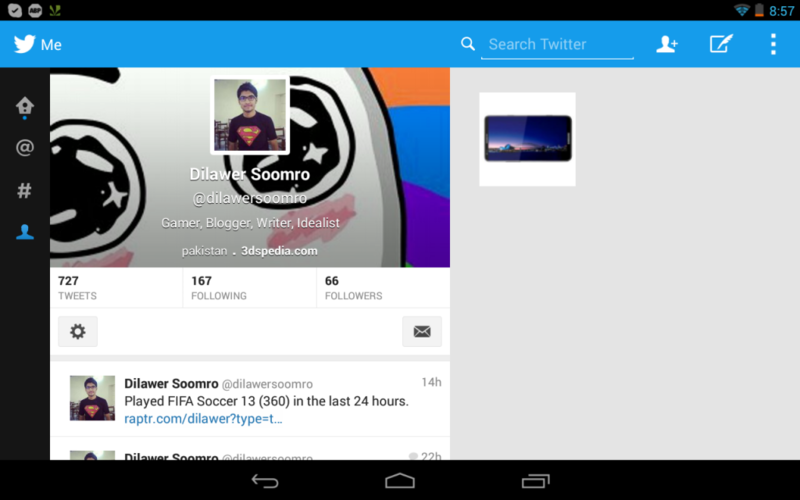 You can download the Tablet-Optimized Twitter APK from here. I have personally tried it on my Nexus 7 (Old model) and it’s working perfectly, no issues at all. You can try it on any tab you want and let us know, how it works out for you. Remember to enable “Unknown Sources” before you install this APK.